Asking for help is hard; let alone, it is another route to admit that you may or may not have something to go seek professional help on. A psychiatrist and psychologist do share similar tasks such as scheduling and setting up appointments with a patient/client. However, a psychologist is someone who can also be referred to as a therapist or a counselor because their job is to treat a patient through psychotherapy, focusing on the mental aspect and what can be done without medicine. A psychiatrist is more of a medical doctor who can treat their patients through psychotherapy, but unlike a psychologist they can prescribe medicine to their patients. Whoever one decides to make an appointment with, just know that there is nothing wrong in going to see a psychologist or a psychiatrist. Never be afraid to ask for help. Avoid the negativity and, unfortunately, stigmas that revolve around both of them. If you would like to consult with one of our A-1 Home Care agencies, then you can call us at 562-929-8400 or reach out branch in Westwood 310-657-8780. Our caregivers have worked with many seniors who do see a psychologist or a psychiatrist. for many reasons. You can trust us! With our twenty-four hour in-home care, our caretakers can also assist with their patients and how to maintain a stability of a healthy lifestyle. What is Chronic Pain? This refers to a long term condition that can linger after getting hurt or sick and is actually quite common-in fact, an estimated 100 million Americans identify with chronic pain. The numbers are also in the millions with regards to short-term or “acute” pain. Aches can seem inevitable especially as we age into senior living but comprehension of commonly associate conditions can not only help us prepare for them but in some cases even avoid them. Lower Back Pain- This is the most commonly found sort of chronic pain today in the United States. There are a number of causes that can contribute to chronic lower back pain, but outside of injury sitting for long stretches can a be a key contributor. While this sort of pain is most common during our 30’s and 40’s, it can really begin at any age. Exercise is a great way to cut off issues with back pain before they even begin. A Physical therapist appointment can be very useful in getting information on what sort of exercises can increase mobility and relieve pain. Did you know that a caregiver from A-1 Home Care can assist with physical therapy routines and exercises prescribed by your physician? If you or a loved one is in need of 24 Hour Care or Hourly Care, our diverse and trained caregivers are available at competitive rates and can assist with all sorts of daily activities. Headaches- Cranial pain can be linked to a number of causes like tension in the muscles, dehydration, stress and even certain foods. Headaches and migraines can make their presence felt anywhere through our 20’s to 50’s. Over the counter remedies may offer a temporary solution, but we should always speak with our doctor regarding administration of medications beyond a few days. Maintaining a healthy, balanced diet can be more work than it sounds, but with the help of a Short-Term or Long-Term Caregiver, you never have to face these challenges alone. Our caring and expertly trained staff of home care professionals can help you adhere to diets specific to the individual and make sure your nutritional needs are met. Certain patients like those with Diabetes can especially benefit from assistance to ensure healthy blood sugar levels. 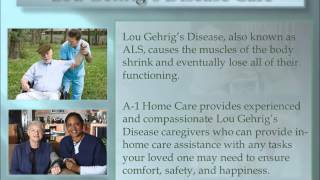 A-1 Home Care is the home care agency of choice for Westwood and surrounding communities. 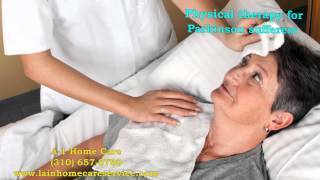 Established in 1991 as a non-medical Home Care Agency working with Seniors and the Elderly, we assist families in a wide range of areas such as Alzheimer’s Care, Arthritis Care, Hospice Care and more. We strive to make in-home care available for all by working with many long term care insurances, veteran’s benefits and affordable payment plans. Call us today at (562) 929-8400 or (949) 650-3800 to learn more! There is just something magical about music that nothing else compares to it. This power is especially distinctive when music and art is presented for people living with Alzheimer’s disease. According to the Alzheimer Foundation, music has the ability to reduce agitation and improve behaviors. If you have someone in your family who is suffering from Alzheimer’s of dementia, considering these following tips when playing music for the individual. It is amazing to see the before and after state for seniors who have just experienced music from their youth. So if you know someone who is going living with Alzheimer’s, consider using music as a tool to improve their quality of life! 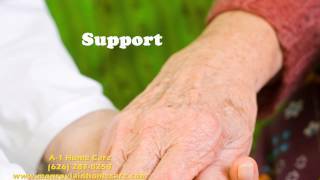 Caregivers at A-1 Home Care in Westwood provide companionship and exceptional support to keep your loved ones safe. 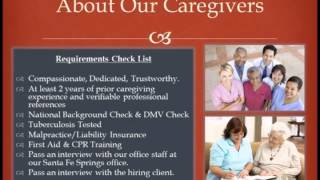 With at least 2 years of professional caregiving experience and CPR certification, we personalize each home care service to cater to each client’s needs and requirements in Westwood, Studio City, Century City, Hollywood, Beverly Hills, Santa Monica, Palos Verdes, Malibu, Redondo Beach, and other surrounding areas. 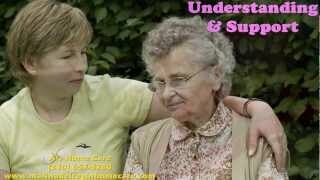 We are versatile in our care as well, offering customized in home care such as After Surgery Care, Diabetic Care, Alzheimer Care, Arthritis Care, Parkinson Care, Incontinence Care, Multiple Sclerosis Care, Hospice Care, Kidney Disease Care, Lou Gehrig’s Disease Care, and other Elderly Care assistance services. For any questions or concerns, please call 310-657-8780 today, or visit www.westwoodinhomecare.com to learn more. Be sure to follow us on Facebook too! When a major life event happens, stress is inevitable. However, there is a mental conditional called the adjustment disorder, which according to WebMD, is a short-term condition that leaves a person unable to cope with or adjust to certain source of stress, most prominently major life changes. For example, if a marriage was recently ended, your home is threatened by natural disasters, or a death of a loved one, are all triggers to the type of stress that can leave an individual unable to adjust to the stress. Symptoms of adjustment disorder includes but not limited to frequent crying, nervousness, headaches, trouble sleeping, withdrawal, irregular heartbeats, and more. The Adjustment Disorder is also very common, and it can affect people of all ages, race, or gender, and more prone for seniors in the later years. If you are having trouble with coping with stress, and suspect that you or your loved ones might have adjustment disorder, then see a doctor. Treatments for adjustment disorder varies, but the most common one is through psychotherapy, and there is yet to be a way to prevent such condition. 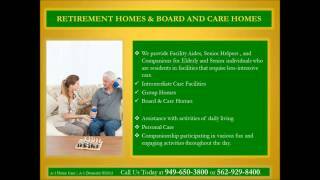 For adult children who are too busy and unable to find enough time to care for their elderly loved ones, A-1 Home Care in Westwood is the trusted source for many in Los Angeles and Orange County. Our caregivers are compassionate, dedicated, and have the skills and experience too assist and support seniors in the comfort of their own home. 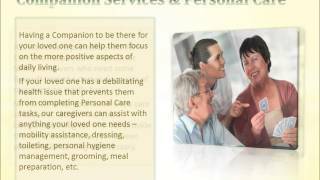 Furthermore, our caregivers will be able to provide companionship for the client, becoming one of the social support network needed to manage their stress. 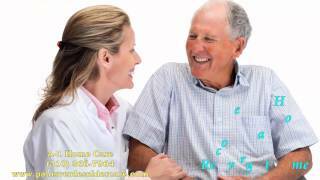 We also specialize in services such as After Surgery Care, Diabetic Care, Alzheimer Care, Arthritis Care, Parkinson Care, Incontinence Care, Multiple Sclerosis Care, Hospice Care, Kidney Disease Care, Lou Gehrig’s Disease Care, and other Elderly Care assistance services. We provide coverage in the cities of Westwood, Century City, Hollywood, Calabasas, Santa Monica, Palos Verdes, Malibu, Studio City, Encino, and other surrounding communities. 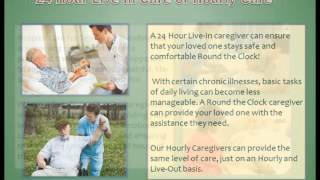 Please call 310-657-8780 today for service inquiries, or visit www.westwoodinhomecare.com to find out more. Be sure to find and like us on our Facebook page also! When living with different ailments, even walking can inherit danger for seniors. Since seniors are more prone to fall, even a relaxing walk around a familiar neighborhood can lead to falls and injuries. However, the risks of injuries should not deter seniors from doing what they love. As a result, seniors and their loved ones should be alert and be aware of the safety when they are having fun in various activities. For example, if seniors enjoy doing aquatic aerobic exercises with their peers, make sure they understand the depth of the water, and maybe invest in water shoes that can prevent slipping and falling. It is also important to remember to stretch before any physical activities. If an elderly individual is suffering from arthritis, applying heat pads to relax joints can make a big different before starting exercise can bring comfort. After the exercise, cold packs can be applied to joints if there are swelling and pain. Chronic diseases should not prevent anyone from certain forms of exercise either. For instance, those with Alzheimer’s disease can use exercise and social interaction to reduce the risk for wandering behaviors. There are many activities that can be enjoyable while being safe for seniors, and if they are suffering from some kind of ailments, it is best to consult a doctor about to stay safe while doing so. 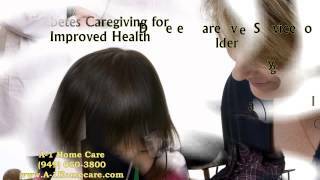 Caregivers at A-1 Home Care in Westwood understand the importance of senior safety throughout the day. No matter if they are relaxing at home, ballroom dancing with their friends, or taking a stroll in the park, our caregivers can provide companion and the expertise to keep your loved ones safe. With at least 2 years of professional caregiving experience and CPR certification, caregivers like Mateo Relox and Joslyn Du Jour are able to provide customized in home care service to clients in Westwood, Studio City, Century City, Hollywood, Beverly Hills, Santa Monica, Palos Verdes, Malibu, Redondo Beach, and other surrounding areas. We are versatile in our care as well, offering customized in home care such as After Surgery Care, Diabetic Care, Alzheimer Care, Arthritis Care, Parkinson Care, Incontinence Care, Multiple Sclerosis Care, Hospice Care, Kidney Disease Care, Lou Gehrig’s Disease Care, and other Elderly Care assistance services.